June Trial For George Zimmerman, Accused In Trayvon Martin Death : The Two-Way Zimmerman is charged with second-degree murder in the death of the African-American teenager. The killing ignited another discussion about race relations in America. Lawyers expect the trial will last about three weeks. 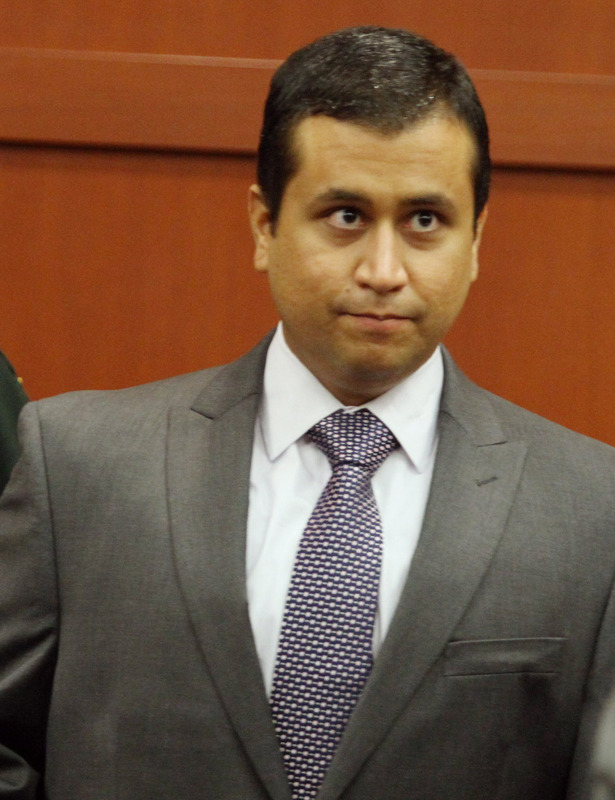 Zimmerman says he acted in self defense. George Zimmerman, who is charged with second-degree murder in the death of Trayvon Martin, at a court hearing last June in Seminole County, Fla.
"George Zimmerman's murder trial in the death of Trayvon Martin was set for June 10 during a hearing in court this morning," the Orlando Sentinel reports. Attorneys expect the trial will take about three weeks, the newspaper adds. As you'll recall, the 29-year-old Zimmerman is charged with second-degree murder for the Feb. 26 shooting death of Martin in Sanford, Fla.
Zimmerman, who called police that evening to say he had seen a "suspicious" young man in his neighborhood, has said he acted in self defense. Trayvon's family and supporters say Zimmerman racially profiled the African-American teenager, should not have continued following Trayvon after a police dispatcher said it wasn't necessary to do that and that they question whether the teenager attacked the older man as Zimmerman claims. The case spotlighted "stand your ground" laws in Florida and other states, and ignited another discussion about race relations in the nation. There were protests in cities across the country in support of Trayvon's family and to call attention to what many viewed as authorities' initial unwillingness to charge Zimmerman. Zimmerman is free on bail.